Edward Zimmerman MD is a cosmetic surgeon and owner of Las Vegas Laser & Liposuction. That's interesting: Dr. Zimmerman is currently serving as the President of the American Board of Laser Surgery. What inspired you to enter the realm of cosmetic medicine? I grew up in DC, the son of a professional artist who allowed me to build, dismantle and tinker with just about everything mechanical and biologic. I brought the first CO2 laser into an outpatient office in Western PA as part of our faculty practice in the early 1990’s. One day a patient asked me to take off a benign mole, which is my first cash paying procedure. The rest is history. Can you tell us more about your clinic and how it's organized? I designed it and I am the Medical Director of Las Vegas Laser & Lipo, an 8000sf, state licensed, state of the art facility. I supervise and perform aesthetic procedures including Botox and filler injections; ablative resurfacing, lipo-sculpting, laser assisted blepharoplasty and facelifts using monitored tumescent anesthesia and conscious sedation. Our goal is to educate and help design programs and treatments that help patients regain and keep their own natural, youthful appearance and vitality. We welcome new cosmetic laser technologies. We have medical students and MA’s rotate through the office and and physicians to observe and train. My wife Marilyn in the practice manager for 15 years. My RN and most of my staff have been with me for years as well. Our patients are 80+% women-mainly 30 to 65 years old, from a mixture of backgrounds, economies and ancestry. The office is conveniently located just off the SW bend of the I-215, a short drive from the airport and the Strip, in the first floor of a newer professional building. It is close to 2 of the newest hospitals in Las Vegas. Patients come and go with privacy and security in one of Las Vegas’s newest professional centers, featuring plentiful, well lite parking and attractive landscaping. Creating a successful medspa can depend on the staff. Have you developed a set of hiring practices? We have little staff turnover... usually when spouses relocate etc. We are a small, tight knit group who have to help each other. Base salaries with communal compensation and bonuses seem to encourage that better than straight salary or 1099 employment. We recently had a front office staff move to Zappos after I lent her their CEO’s book on “Delivering WOW and Creating Happiness....through Service..” In interviewing dozens of candidates, and trying a number on for a day to a week before we settled on one person to bring in to training and probation, we developed better job descriptions and training policies with measurable guidelines and endpoints. Having written policy and procedure has helped us evolve from a “mom and pop” clinic to an organization that is run like a business. What IPL or laser technologies are you using? What are your considerations before buying a new equipment? We utilize cosmetic lasers, light, IPL, CoolSculpting, laser/water/power assisted liposculpting and fat grafting with and without PRP at this point. We are on the verge of bringing in focused US. With limited funds and minimally cooperative banks, it’s important to analyze every purchase with the most pessimistic but realistic ROI, shop for the best lease and lending rates and know when to back off and cut your losses if things don’t work out. The laser companies “sell” me by putting me in touch with like-minded docs who have made their tech work in similar practices and have excellent reputations with others - like Medical Spa MD - and being flexible with letting us try the equipment to see if it’s a “fit” for the practice. Companies that offer extended warranties, help with marketing, training and negotiate the cost of disposables and have good delivery and service reputations get more attention from me. What are your core strategies for marketing your clinic? We use the FotoFinder Suite to take digital pictures of just about everything-for patient education and to remind patients of how far they’ve improved, plot their continuing procedures and maintenance and to analyze the success of our treatments. It is a tool that has paid for itself many times over. We also use Patient Pads for information intake and consents and Touch MD for our consultations-all high tech devices that let us show lots of before and after pictures, educate patients on realistic results and confirm that the patient-practice relationship is solid from the start and stays that way. We screen all procedure patients for Body Dismorphic Disorder with a standardized set of questions and discuss the results frankly with patients. We don’t take short-cuts that compromise patient safety or results and we’re not afraid to refer patients elsewhere if we don’t seem to be on the same page. I have lots of my own before and after pictures and the practice mission and philosophy on our new website, which I built with my daughter. I employ social media to maintain our Facebook, Linked-In and Twitter accounts. We run monthly internet “specials” on different fillers, procedures and toxins and have regular “Evenings of Beauty” where we cater a Power Point presentation at the office and offer free consultations, drawings and special pricing. We are not shy about asking patients to post positive reviews about their experiences and send them personalized thank you notes with coupons good for discounts on future procedures when the send friends who actually do new procedures. We have a billboard a couple of exits up from our office and a 4 x 26 foot, backlit sign “Las Vegas Laser & Lipo” across the top of the building that is easily visible to the hundreds of commuters on the I-215 each day-one of the reasons we choose this location for our new office. We also have uniform scrubs with the practice logo, water bottles, pens, day-timers, chap sticks and business cards and brochures that all brand the practice and purvey the passion and professionalism of our special practice. You and your staff should be enthusiastic, walking examples of the procedures you offer. Talk the talk and walk the walk! Have a list of patients who will rave about your work and your office to perspective patients who want to talk to someone who had a similar procedure already. What are the most sought after treatments and how do you select cosmetic treatments that will most likely fit to your patient's needs? I simply don’t offer treatments that I don’t have passion for and skill at delivering optimal results, which is to say, I don’t offer every procedure because I choose NOT to. I refer patients out to physicians I would send my family to who would benefit from more invasive procedures or ones that I feel are beyond my training, experience or enthusiasm. That said, do your homework and invest time and money in technologies that “fit” in your practice. Market the coming of a new tech/procedure well in advance of it’s arrival, have a waiting list of patients to schedule after your training and offer special pricing during it’s initial use so that you get plenty of your own Before and After pictures as soon as possible. In Las Vegas, most patients want easily visible, even dramatic, but natural results. Non-ablative technologies have not been a good fit in my practice. Minimally invasive surgeries utilizing proven technologies are money makers in my practice along with fillers-especially Radiesse and Artefill. Toxins, laser hair removal, IPL and superficial peels are all good, solid procedures, but more “loss leaders” which allow us to educate patients about what else we offer. We are always looking at new cosmetic technologies and teaming up with other physicians and technology companies to joint venture and share risk as well as profit. Technologies that consistently perform stay and those that don’t are replaced. Patients appreciate that we are both innovative, honest and always searching for the next brick in the fountain of youth. Any lessons learned from practicing cosmetic medicine? I’m lucky to have a job that I have passion for and actually get paid to do and teach to others. I’ve surrounded myself with upbeat, supportive and talented staff and peers. I try to stay open to suggestion and criticism. We continually evolve and re-invent ourselves and the practice to perform our mission. That requires continual surveillance, honest evaluation and directed education-output of time, money and effort. I think the most successful practices operate as a business, have a reasonable sense of humor and demonstrate their care and respect for their patients by being honest and respectful--especially when what the patient asks for is unsafe or too much. I have no qualms about charging a reasonable amount for our expertise and what we’ve built and most patients respect that and feel they are getting more than their money’s worth. We routinely create happiness by delivering safe, sage, science-based WOW. Want some stories?...we’re actually keeping track...you can’t make this stuff up, but you can buy the book when it comes out! Finally, never allow a patient to cajole, compliment, beg or embarrass you in to performing a procedure you are not comfortable doing. Don’t be afraid to share your passion and excitement about what you do. It’s contagious and you’ll attract patients who will really appreciate and enjoy your services. 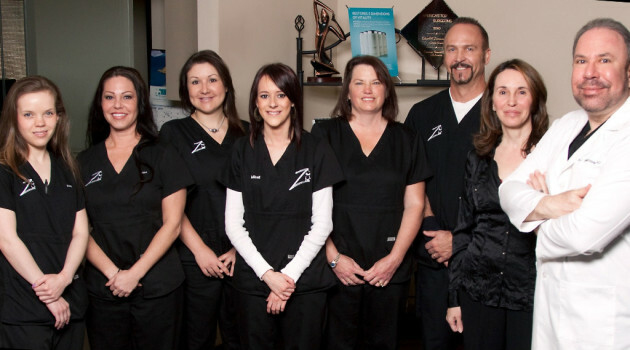 About: Edward M. Zimmerman, MD has a passion for office-based cosmetic procedures. He has degrees from Johns Hopkins and Georgetown University and The George Washington University School of Medicine. He is a Fellow of the American Society of Laser Medicine and Surgery since 1994; member of the American Society of Cosmetic Laser Surgery; member of both the American and European Academies of Cosmetic Surgery and the American College of Phlebology. He has received the prestigious Award for Academic Excellence in Cosmetic Surgery Education from the American Academy of Cosmetic Surgery. Dr. Z is a Diplomate of, and currently serving as, the President of the American Board of Laser Surgery. He received the “Best of Las Vegas” award for Cosmetic Surgery for 2009, was selected as one of America’s Top Surgeons-2010 by the Consumer’s Research Council of America, was elected a Lifetime member of the Cambridge Who’s Who Registry. He has been a PSP “Top Doc” in 2010 and 2011. His office has been acclaimed for Excellent Customer Care by CMUS Talk of the Town - 2010, 2011, 2012. He has held multiple faculty appointments, lectured nationally and internationally and is a sought after consultant in the aesthetic industry.